3 Murano Glass Diamonds in a simple but elegant drop earrings. They measure approximately 2 1/4 inches in length. 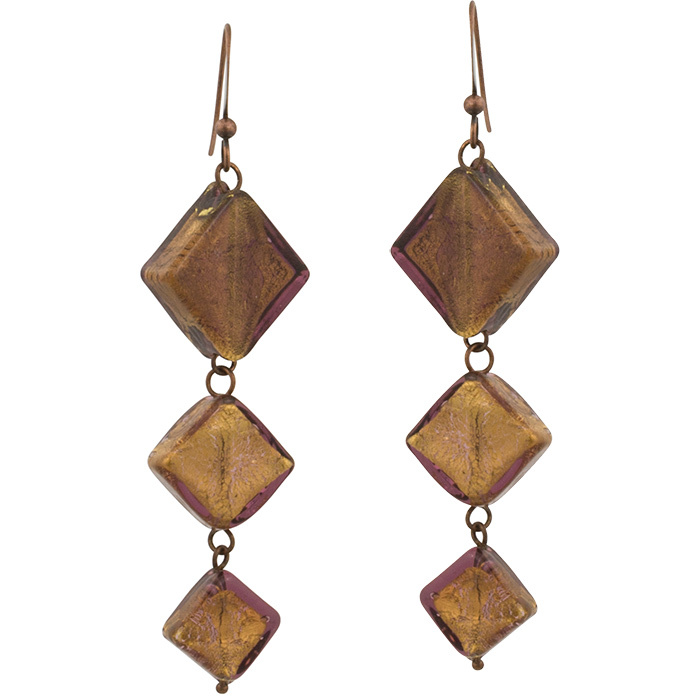 Transparent Amethyst Murano Glass over 24kt Gold Foil, which gives the earrings a slightly chocolate hue.